Austin is only a five hour drive to Lake Charles, Louisiana. We have family there so we travel to the Texas Hill Country regularly. And, who doesn’t love the “weird” vibe in Austin? What happens when a few crazy Cajuns cross the Texas border into Austin – it gets even weirder! 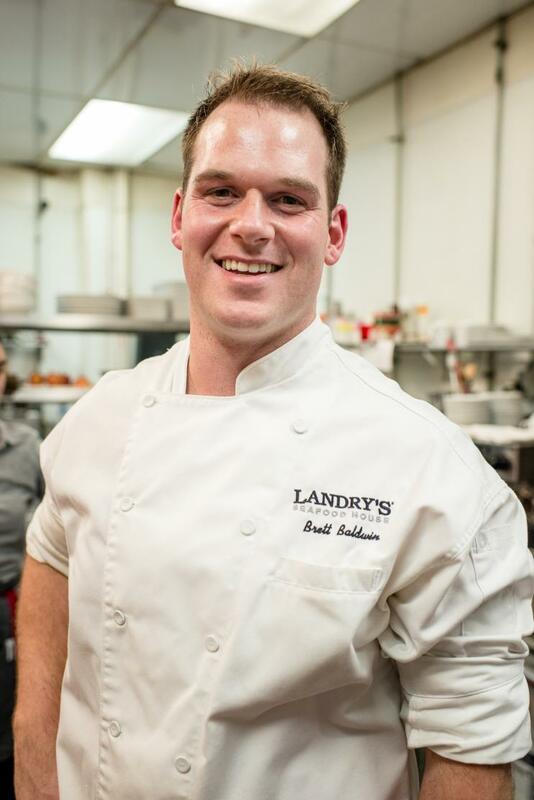 Picture this: A young Cajun chef from Golden Nugget Lake Charles’ Landry’s Seafood House enters Parkside in Austin for one night and rocks it! It isn’t every day that folks from Austin get to taste fresh Blackened Redfish with Shrimp Creole, along with homemade Southern Biscuits and Barbecue Shrimp. THAT’s what the Louisiana Restaurant Takeover in Austin is all about! 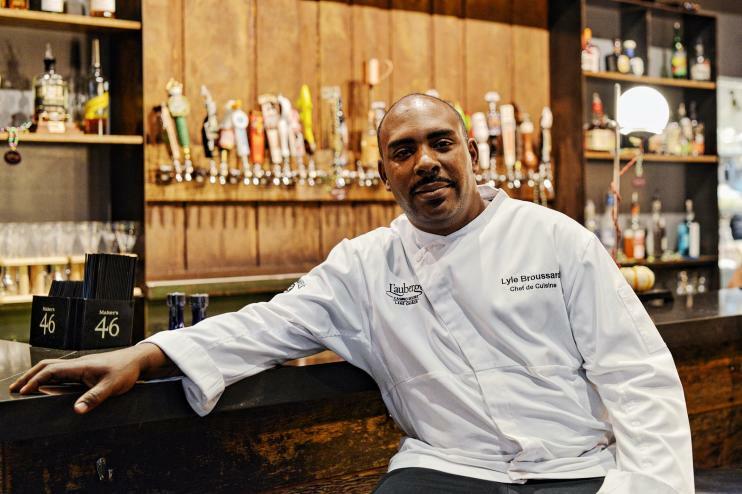 Across town at Porter Alehouse and Gastropub, Chef Lyle Broussard from L’Auberge Casino Resort’s Jack Daniel’s Bar & Grill sold out of the Crispy Redfish with Citrus Slaw. (YES! We like our redfish. It’s straight outta the Calcasieu River caught by local fishermen.) I’m such a huge fan of pickled relishes right now, so I really enjoyed the pickled onions that garnished the fish. And since they sold out, I’m pretty sure the other diners enjoyed them, too. I actually order THREE orders of the Cracklin’ Crusted Shrimp with Abita Rootbeer Gastrique and Charred White Corn Grits appetizer (I shared with my guests, alright…). It was a blast giving Austin a delicious taste of fresh seafood from Lake Charles, La. If you’d like to make some fabulous Cajun and Creole dishes from our award-winning, homegrown chefs, we have some recipes I’m sure you’d enjoy below. If you’re not in the mood to cook, go straight to the source! Visit the chefs and have them whip up some specials for you in Lake Charles. You’ll thank me later. 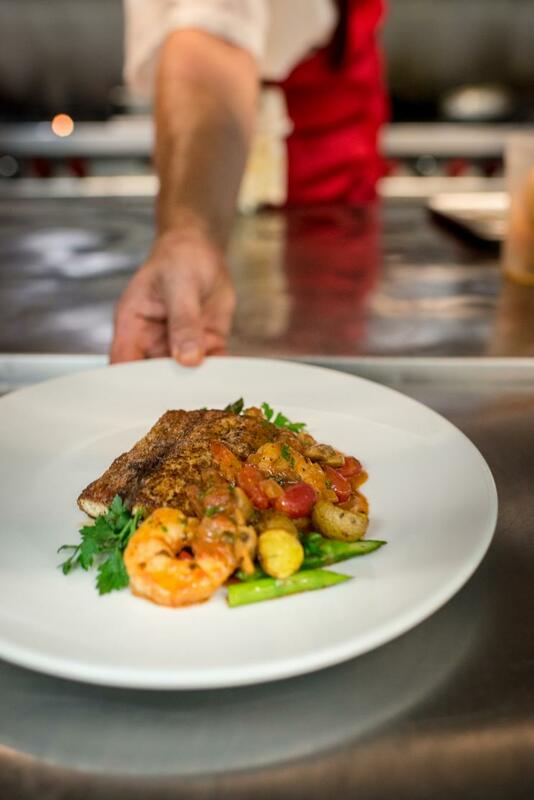 For Chef Brett Baldwin’s Landry’s Seafood House at Golden Nugget’s Blackened Snapper with Gulf Seafood Topping recipe, click here. 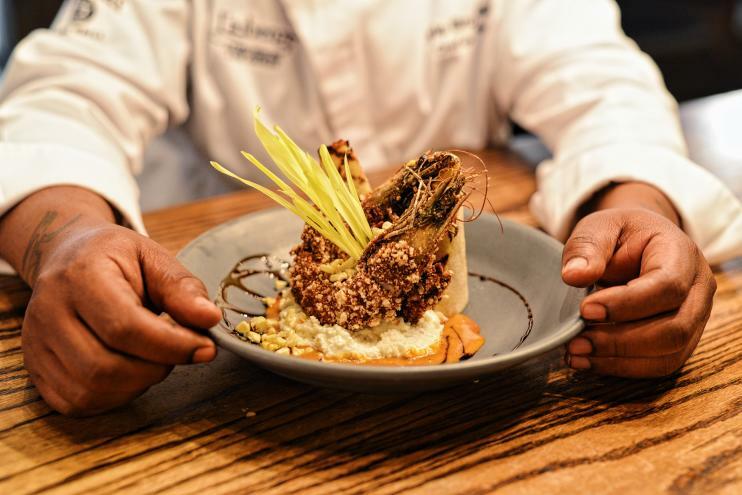 For Chef Lyle Broussard’s Jack Daniel’s Bar & Grill at L’Auberge Casino Resort’s Crispy Skin Redfish with Pickled Onion and Citrus Slaw recipe, click here. Megan Hartman is a lifelong resident of southwest Louisiana. Megan was in a duck blind by the age of two but has never mastered the art of calling. She enjoys boating in the Calcasieu River, crabbing along the Creole Nature Trail All-American Road and cooking for her family. Cajun music makes her smile. She resides in Carlyss with her husband, two children and two lapdogs. Follow her on Twitter @mmonsou1.